BIOS is short for Basic Input Output System. Your BIOS contains low level options which affect the functionality of various pieces of hardware in your computer. BIOSes let you change things like the speed of your RAM, the speed of your AGP port, how your expansion slots work, etc. Most computer users have never seen their BIOS and never need to fiddle with them. If you bought a pre-built computer then the BIOS options were already set up for you. In most cases you do not need to change any options in your BIOS when you add a video card. But sometimes you can't avoid it. Before considering fiddling with your BIOS you should understand that you can get yourself into a lot of trouble. It's very easy to render your computer unbootable by setting an option to an incorrect value. If you have a really cool motherboard like mine then you can even change the voltages for various parts of your computer and run your CPU and other chips at speeds which exceed specifications (called overclocking) and fry your chips if you're not careful. Basically, you can do a lot of damage in there so it pays to be careful. In order to enter your BIOS you have to press a key immediately after you turn on your computer. The magic key varies from computer to computer. You can probably find it by checking the specifications for your machine. Many computers write a message on the screen when the computer powers on which tells you which key to hit to enter the BIOS. The most common keys are Del, F1, F2, and F10. In some cases you need to hold "Ctrl" and "Alt" and then press Esc, Ins, Del, S, or Enter. Once you get in there, be careful. 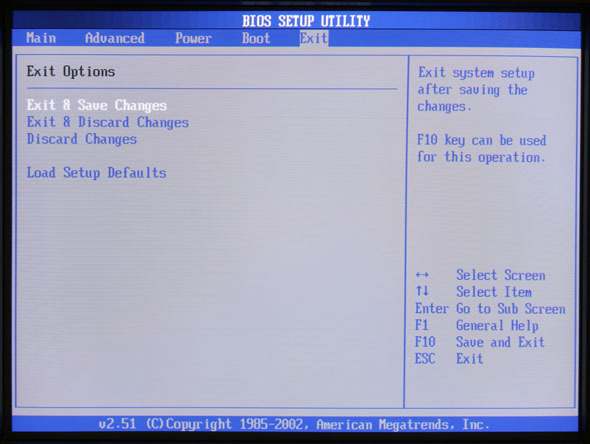 The front page of the BIOS usually contains a list of keys used to navigate the BIOS. Most BIOSes use the arrow keys and sometimes Tab to move through the options. They usually use the Page Up and Page Down, or + and - keys to modify options. You can get detailed information on your BIOS if you can get your motherboard manual as descibed in the finding specifications for your computer section. If you can't find a motherboard manual for your motherboard then you can often get useful information from the motherboard manual of a similar motherboard which uses the same brand of BIOS. 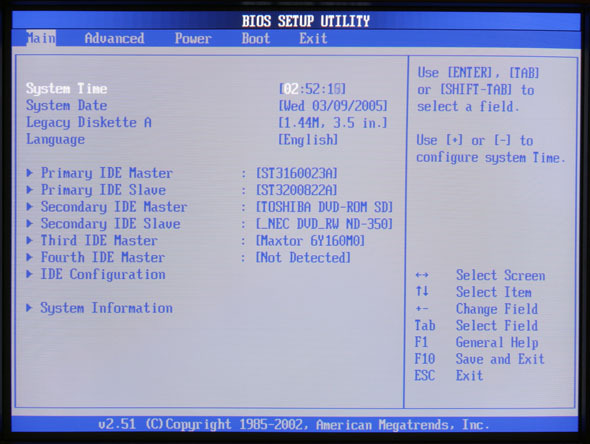 The BIOS brand is normally written on the front page of the BIOS. Common brands are AMI, Award, and Phoenix. You can also find detailed information on most BIOS options on this site. If you're looking for a particular option and you don't have exact BIOS documentation then you just have to search carefully through all the menus. You have to do it very methodically because most BIOSes have lots of nested menus. The names of the options vary from BIOS to BIOS so if someone has suggested you find a particular option, make sure to look for any similar sounding options. When you exit the BIOS you are usually given the option of "Save And Exit" or "Exit Without Saving". If you made a mistake or did not intend to make any changes then use "Exit Without Saving". Any changes you made will be thrown away and it will revert to the values it had before you entered the BIOS. If you "Save And Exit" then any changes you made will be saved and your new values will continue to be used every time you power on your computer.